Tivoli also annouced the Connector ($119), an iPod/iPhone dock that sends audio and video to any TV or radio, including of course Tivoli's radios. 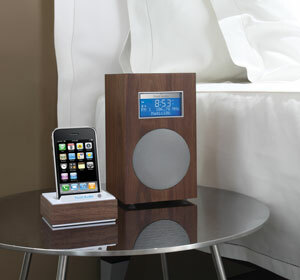 It comes in the same finishes as Tivoli's line of radios and audio systems. The Model 10 and Connector will be available from Tivoli Audio this summer.